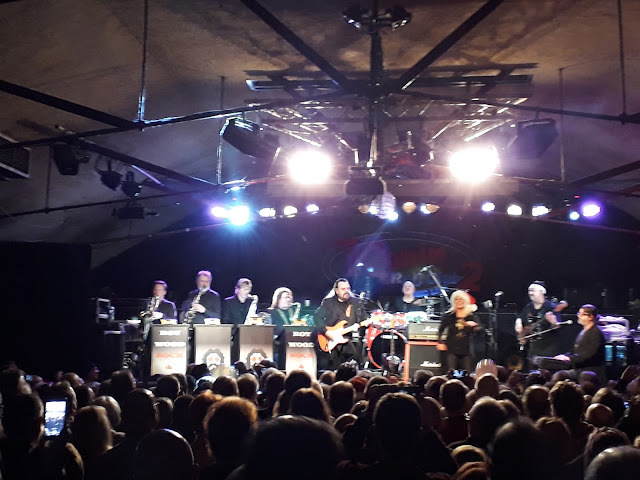 Roy Wood, the man who brought you The Move, ELO and Wizzard put on another stellar show at one of his fave haunts on Tuesday night (12th December) as the 2017 Rock & Roll Hall of Fame Inductee rock and rolled into The Robin 2 in Bilston with his fab band to take the 700 assembled devotees on another top class musical trawl through his classics. Having seen Woody not a few times more through the years and having once again enjoyed the bostin' banter, particularly on the subject of a certain Englebert Humperdinck preventing even more Move chart toppers, Yours Truly KJS still gets a lump in my throat when seeing Roy and the band perform the likes of "See My Baby Jive", "Fire Brigade", "California Man", "Flowers In The Rain", "Blackberry Way" and a certain Christmas classic live alongside lesser known faves "New York City" and "Big Girls Blues". The set list is pretty much set these days so bumping into a gentleman by the name of Jimmy McMichael, who had travelled solo from Co. Antrim in Northern Ireland to take in his first Roy Wood gig, spoke volumes for its content and the stage presence of Dr. Wood. Jimmy was completely taken aback and literally in awe of the show in hand and that, my friends, sums up another hugely enjoyable Woody gig for me. Mention needs also be made of both support acts on the night: Black Country singer/songwriter/comic Jonny Cole was very funny if not excellent and the all girl quartet JOANovARC truly rocked the joint ... literally! 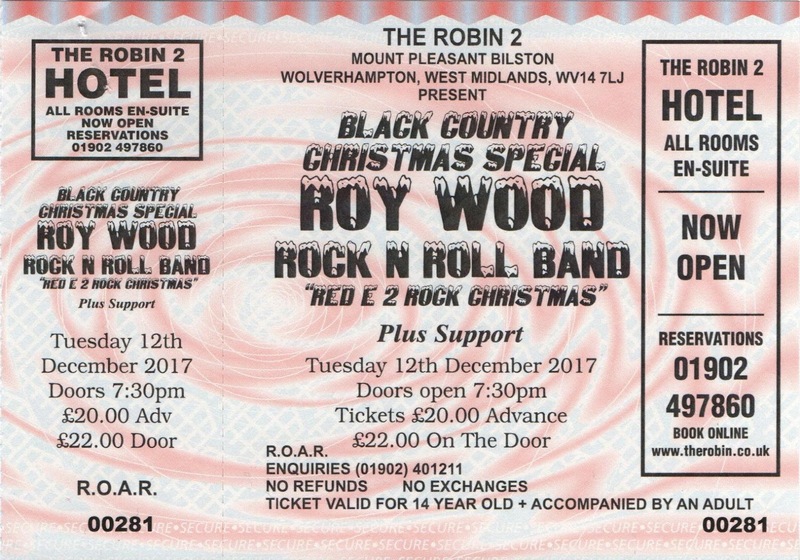 With just a few more dates still to come on the current tour, there are still five opportunities to go see Dr. Roy Wood yourselves including Rockmas 2017 at Birmingham Symphony Hall on Saturday 16th December where you might also have the misfortune to bump into this writer. The Roy Wood Rock & Roll Band performed: "Brontosaurus/Intro" ~ "California Man" ~ "Ball Park Incident" ~ "Kiss Me Goodnight, Boadicea" ~ "Fire Brigade" ~ "Big Girls Blues" ~ "New York City" ~ "I Can Hear The Grass Grow" ~ "Angel Fingers" ~ "Roy's Revenge" (Instrumental) ~ "R U Ready 2 Rock?" ~ "See My Baby Jive" ~ "Flowers In The Rain" ~ "Blackberry Way" ~ "I Wish It Could Be Christmas Everyday"